c) Alessandra herself is the ideal tour leader. She is both very knowledgeable and is also passionate about the area, its food and wine, and the people who make it. She is also an excellent organiser, and the tour worked like clockwork. Most of all, however, we liked that she doesn't tell you what to think, but gives you the opportunity to talk about your impressions of the experience before discussing it with enthusiasm with you. All in all, an excellent trip - we would recommend Discovering Umbria without hesitation". Leo Trippi, Switzerland 2016 Leo Trippi AG is a Swiss-based company offering luxury travel since 1882. "Discovering Umbria's brother-and-sister team knows food, especially Umbrian food. Growing up among some of Italy's best olive groves, Alessandra and Leonardo have put together a unique selection of one-day dining tours you can only find in Umbria"
Alex Leviton journalist, travel writer and Lonely Planet author, in an article on “Slow Umbria” posted on Lonely Planet website, and published also on BBC Travel website, recommends the travelers to “hire someone” and to hire also Discovering Umbria for a culinary tour in the region. Destinations Travel Magazine important monthly American online travel publication “filled with stunning photography and professionally written feature articles on travel - written by people who know travel” hosts an article on Orvieto and its wine production, written by Alessandra. The Discovering Umbria team cooperated with the staff of the Italian cultural magazine “Il Turismo Culturale” for the production and publishing of a special guide-book on Todi, focusing on the town wine and food production. “Discovering Umbria is another small-group company that offers travellers an intimate look at life and culture in the province. Food is a pivot in the Discovering Umbria tours and there are some intriguing options to give you a deeper insight into Umbria”. In 2010 MynaTour - international social community of responsible travellers promoting the preservation of nature and local intercultural understanding, publishes an article about Discovering Umbria. The quality of the tourist services connected to the Discovering Umbria project received an important recognition: one of our first programmes “Didattica del Vino” was included in the “Premio Turismo Responsabile Italiano", under the patronage of ENIT - the Italian Official Tourist Board. 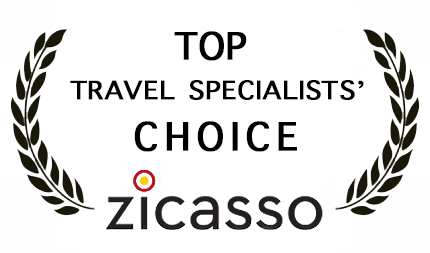 Award based on quality criteria established by UNWTO (The United nations World Tourism Organisation). Article published on the Italian newspaper “Il Messaggero” about our conference held at the Italian Language and Culture School “Bellitalia” in Tokyo, Japan, during our first promotional travel.